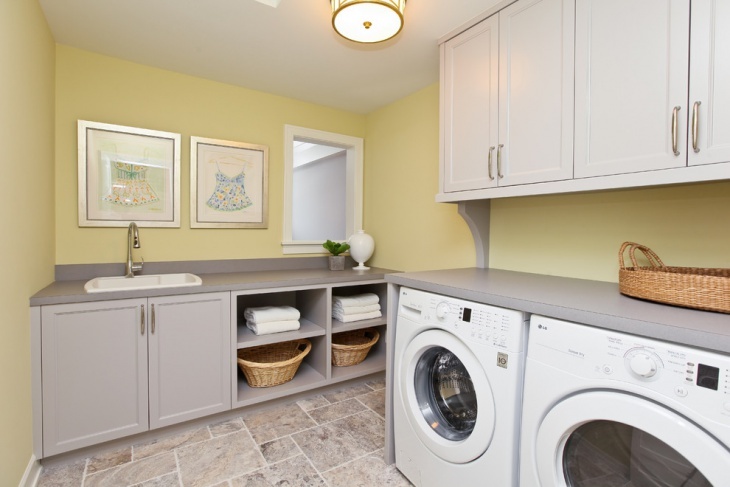 A laundry room can save your house from a lot of mess and clutter but that often ends up being the most overworked and low maintenance room. 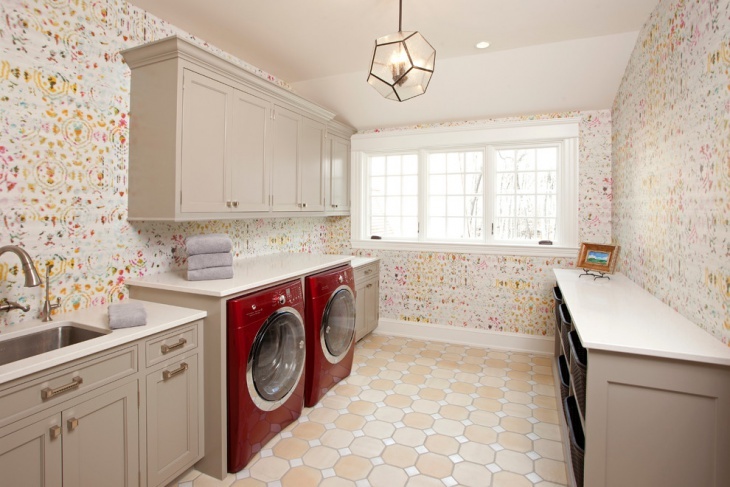 Well, there are several ways you can make your laundry room more functional and beautiful. 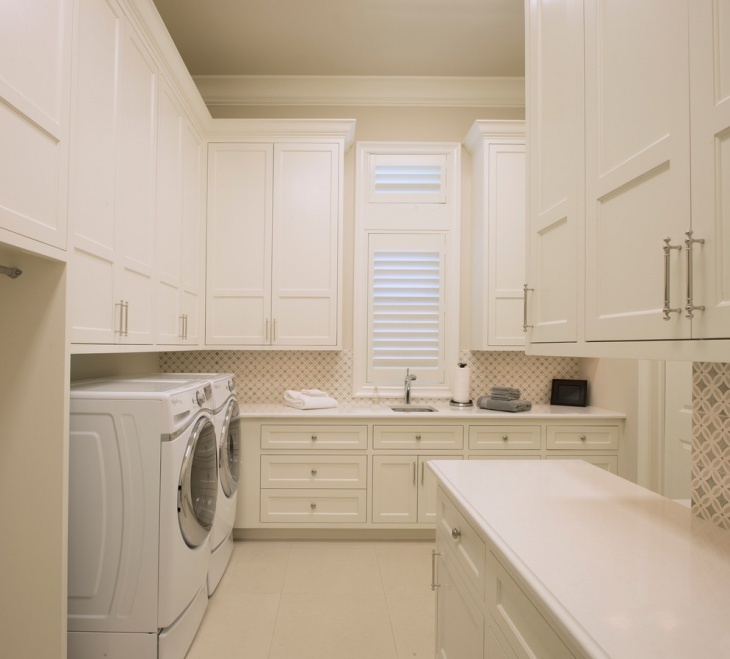 Below we will elaborate on several types of laundry rooms and how you can design it. 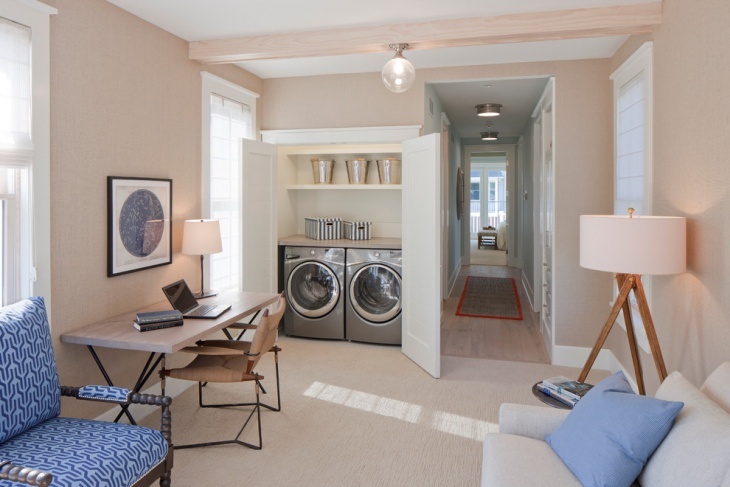 Well, obviously laundry is not our favorite task to do but having a beautiful space to work does make things easier. 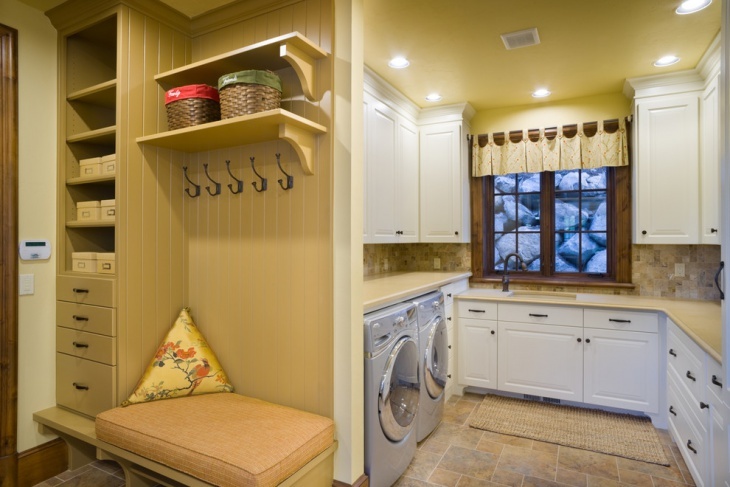 A small laundry room can be smart and functional provided you design it the right way. 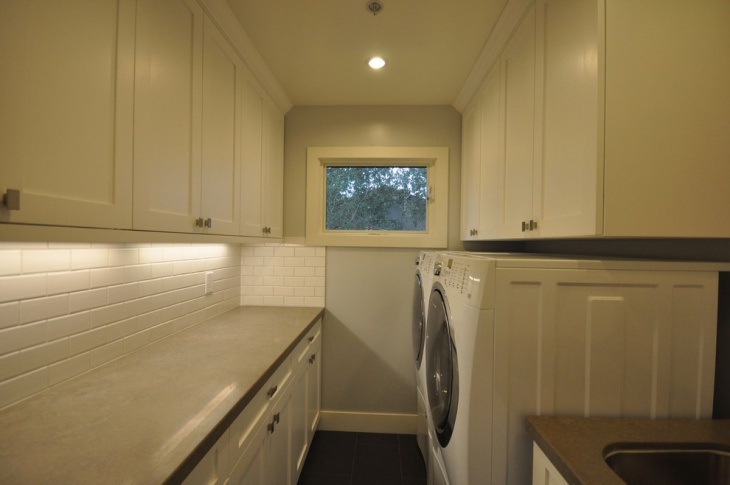 Hide that big bulky laundry machine behind a curtain for a more neat and organized look. Also, it adds a bit of color and texture into the otherwise neglected room. 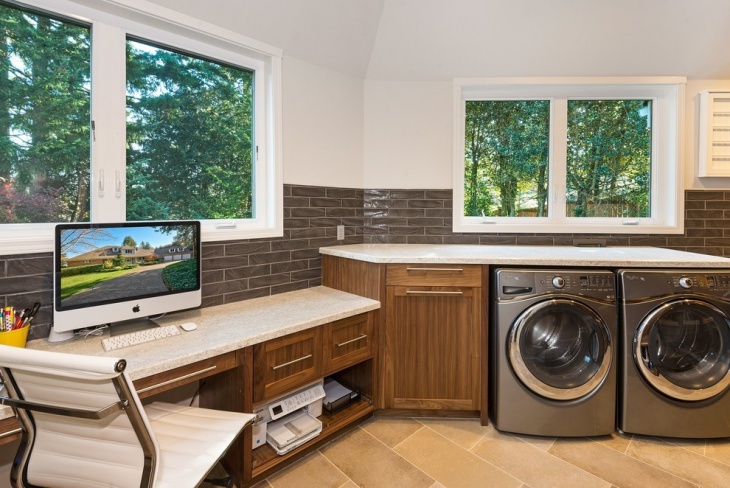 A laundry room in an office has to be organized with a strictly minimalistic design. 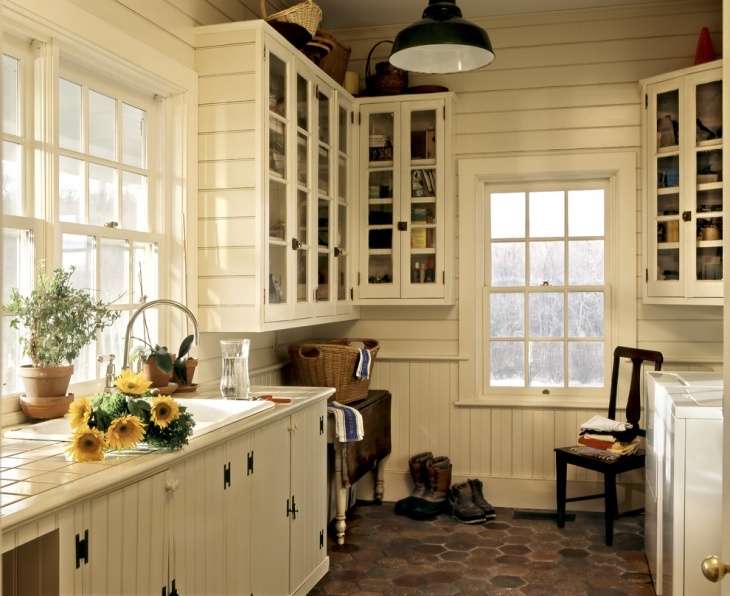 It can be transitional with several other rooms such as the kitchen. 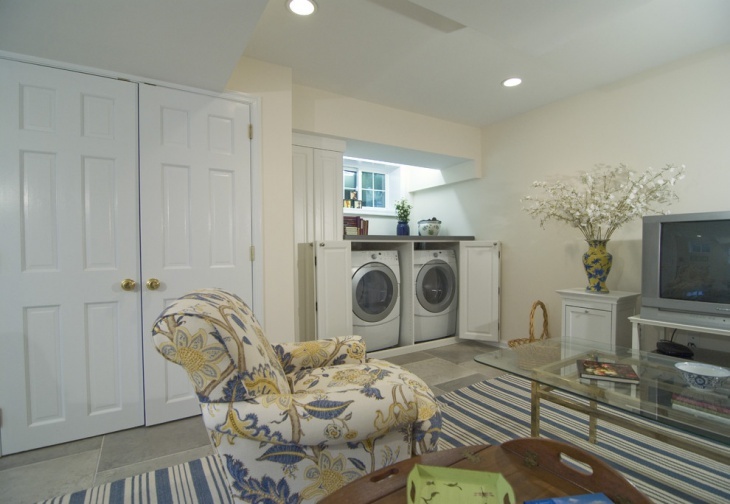 Consider adding a sliding door to the room will do the task of hiding the machinery as well as provide some definition to the room. 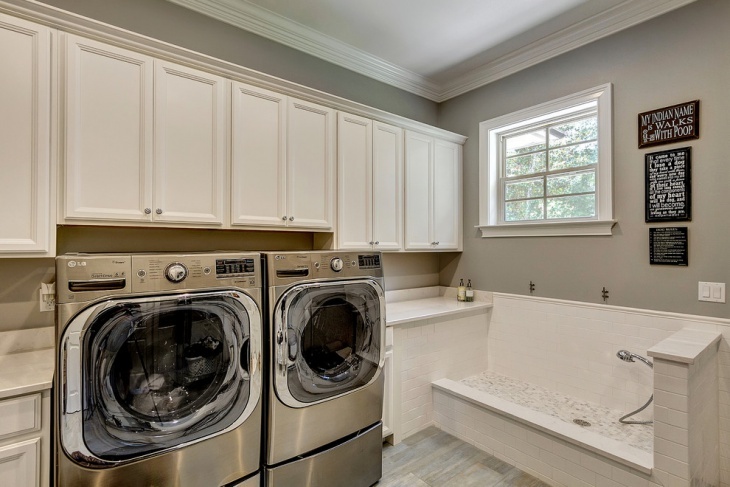 An outdoor laundry room can be fun as the monotonous task of doing the laundry can definitely get a bit sporty! 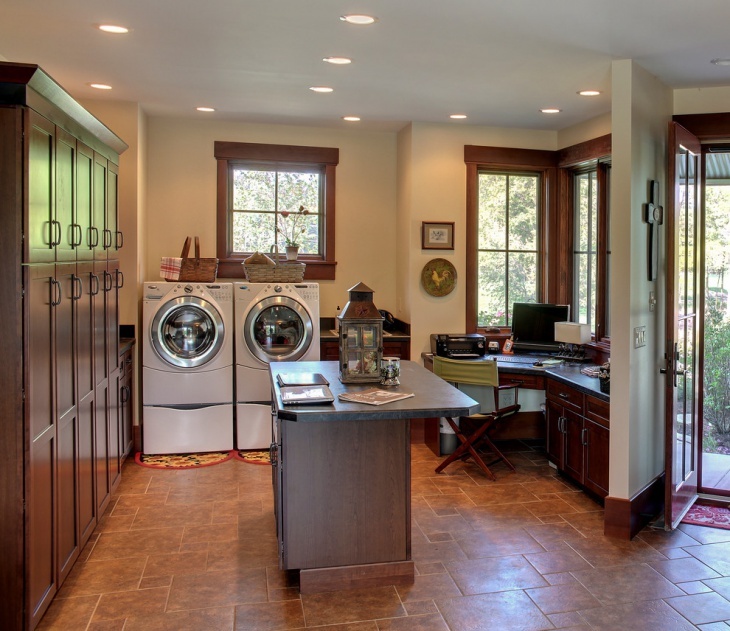 The best part about the outdoor laundry rooms is that it prevents the dirt and mess from entering the inside of the house. 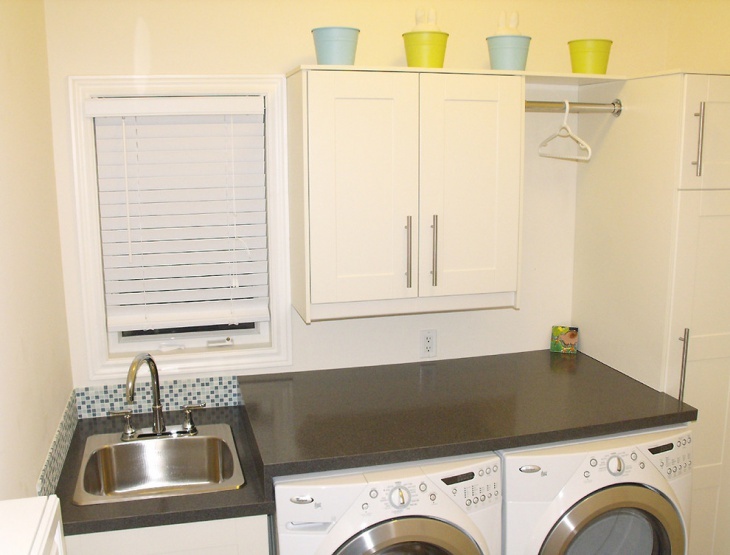 Commercial laundry rooms have to be functional, efficient and well organized. Loads and loads of clothes are to be washed every day and hence the machines are large and heavy duty. 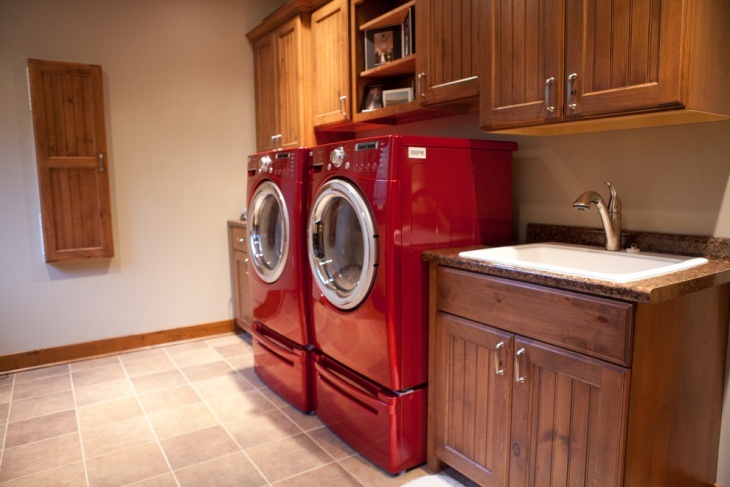 Commercial laundry rooms are designed in a traditional manner. 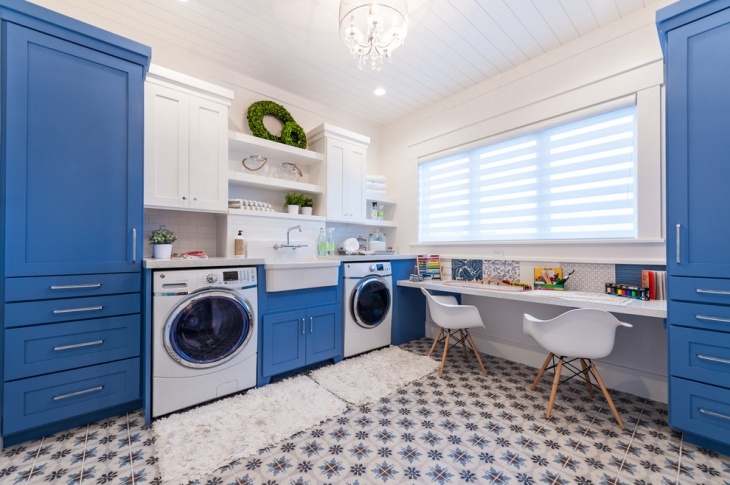 The interiors of a laundry room can be kept simple with just clean ceilings and maybe fixed lighting which will add the much-needed light inside. 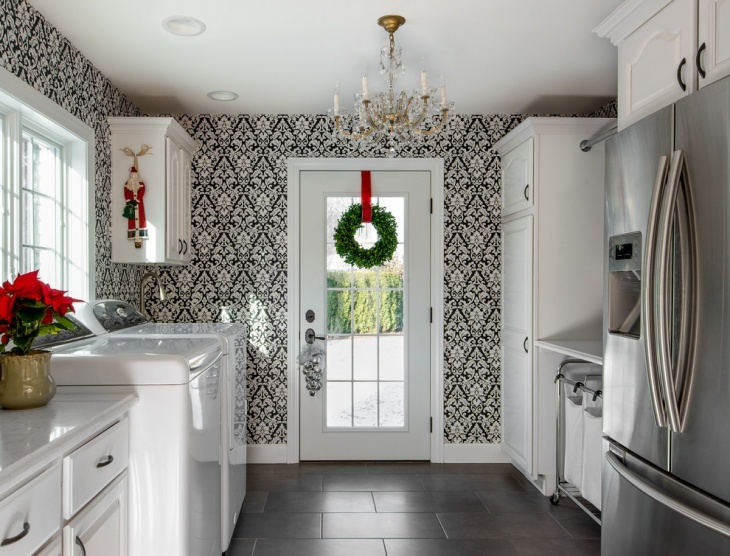 Pendant lights are also a good idea if there is a high enough ceiling wall. 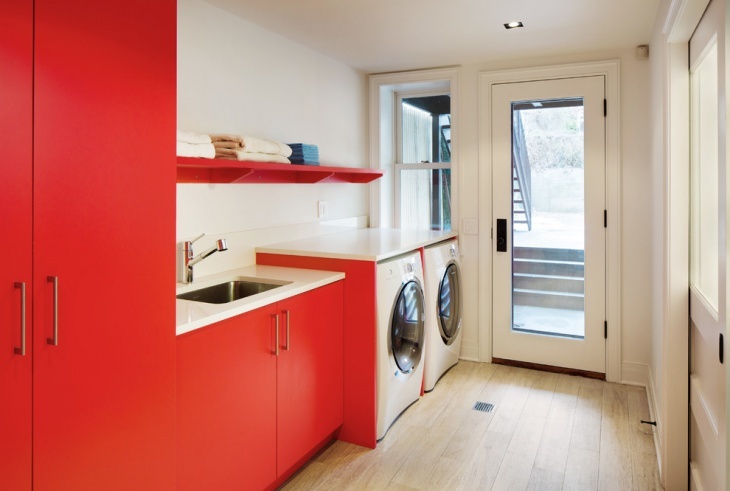 Designing your laundry with an L-shape is definitely a great idea if you have limited space. 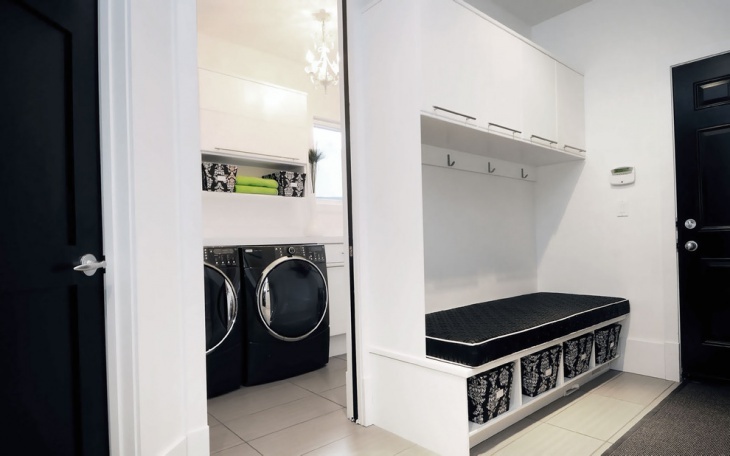 An L-shape design can serve as a highly functional one wherein you can install wardrobes or closets to store the laundry. 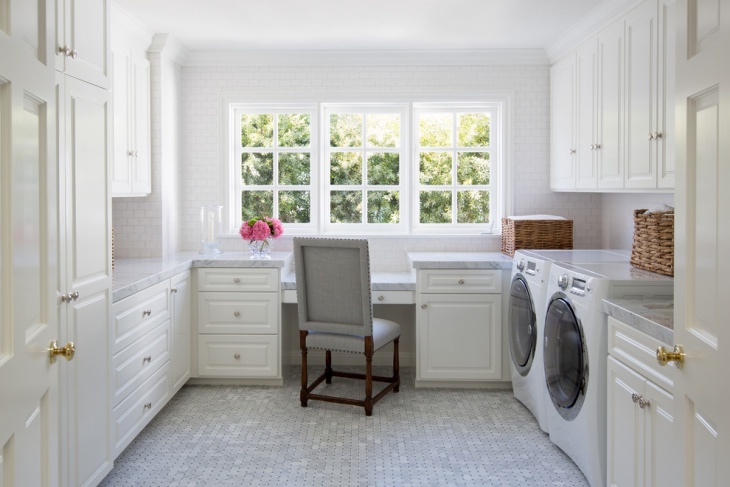 A laundry can connect from any part of the house, be it the kitchen, bathroom or dining space. 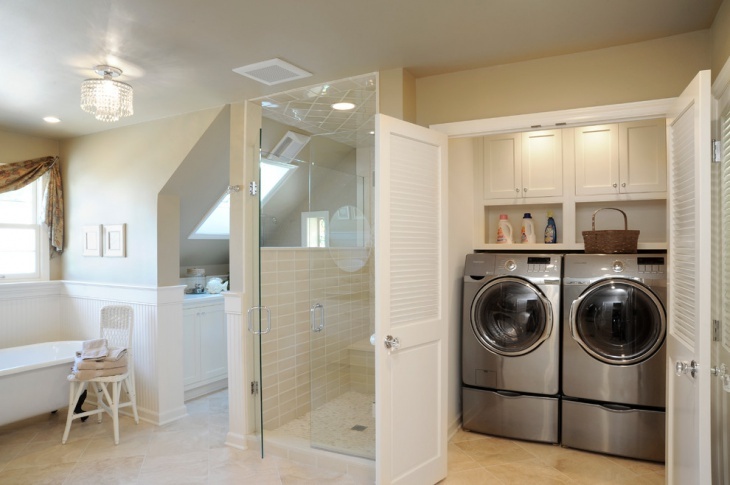 It can be connected with staircase and your laundry can have better lighting and counter space, unlike in the traditional basement laundries. Heavy duty machinery has to be handled with care while shifting it to the upstairs laundry. 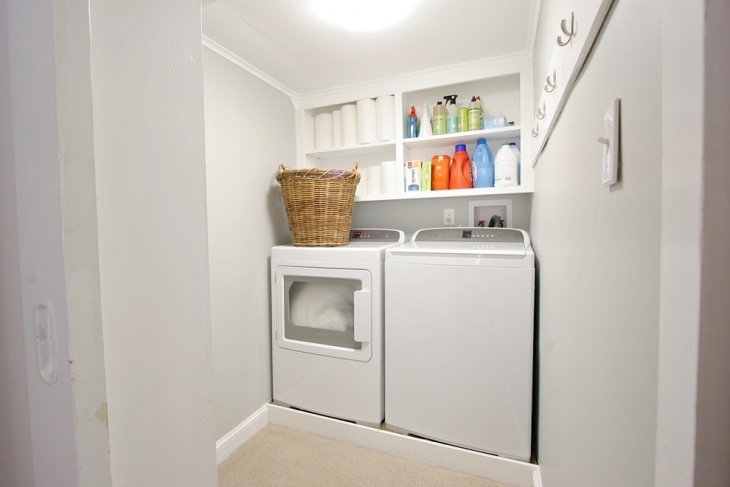 Laundry in a closet! How cool does that sound? 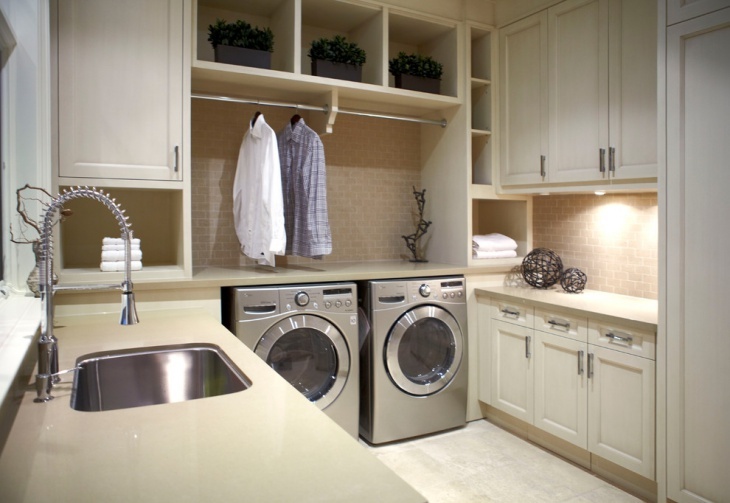 You can set up your laundry inside built closets with flat panel cabinets. 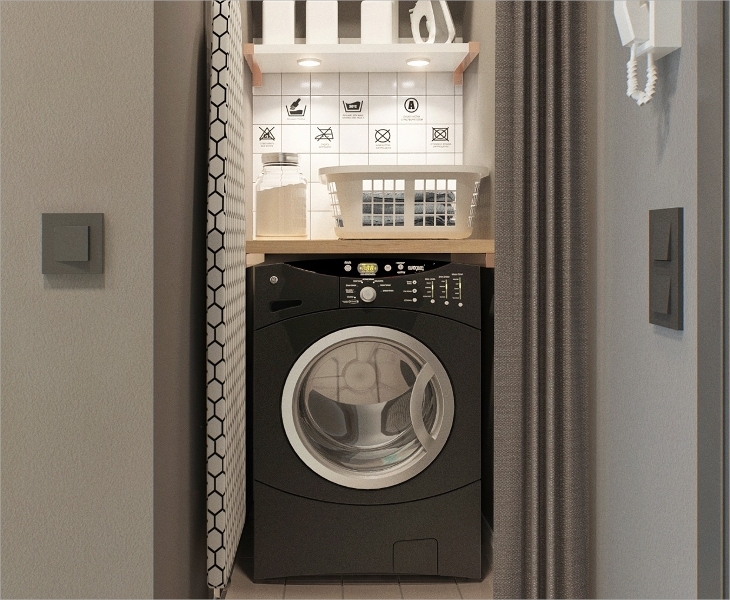 It is also super sleek, modern and fully functional inside the hidden doors which means no fuss, literally! 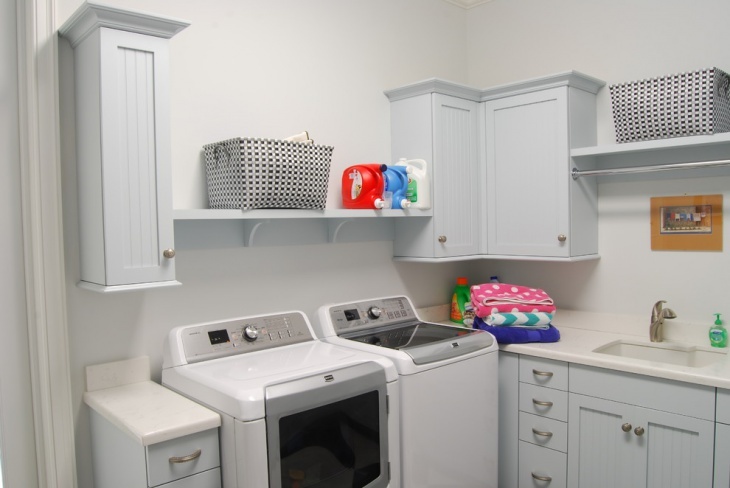 A laundry room is often set up in the basements of the house and in the modern days, it can be found either on the stairs or near to rooms. 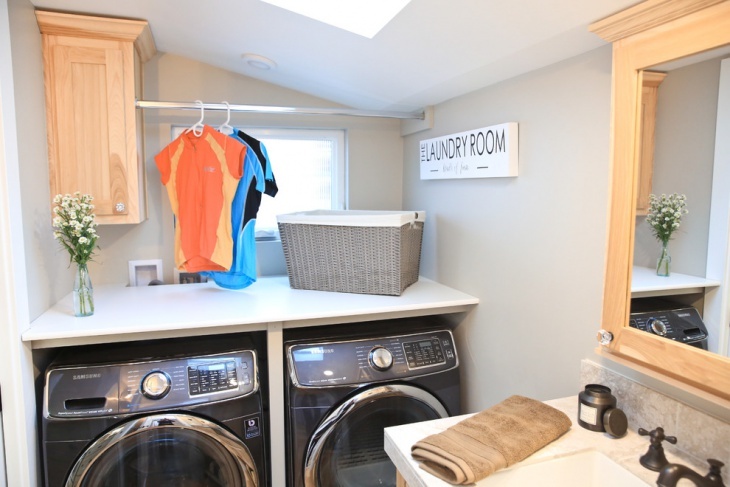 A garage laundry room is at an elevated space of your house. 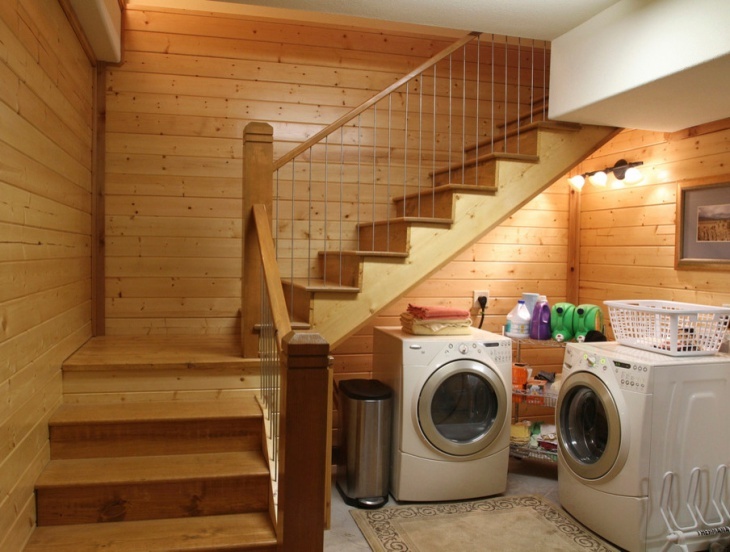 It is actually a convenient space for laundry and avoids the hassle of climbing up and down the stairs. 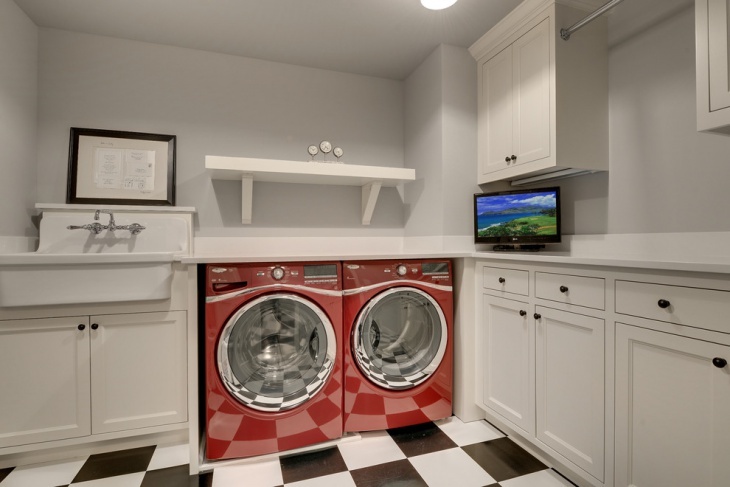 A modern laundry room is located in the upstairs or even beside a room. 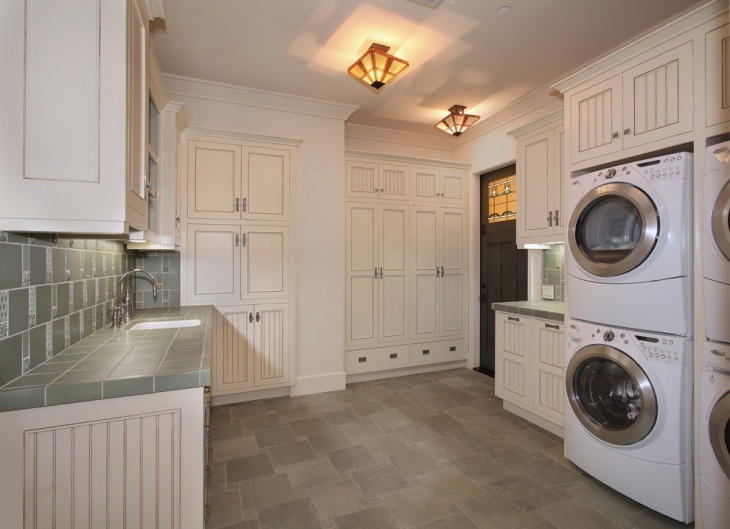 It could also be transitional and can be beautifully designed with wardrobes, curtains, lighting and so on. 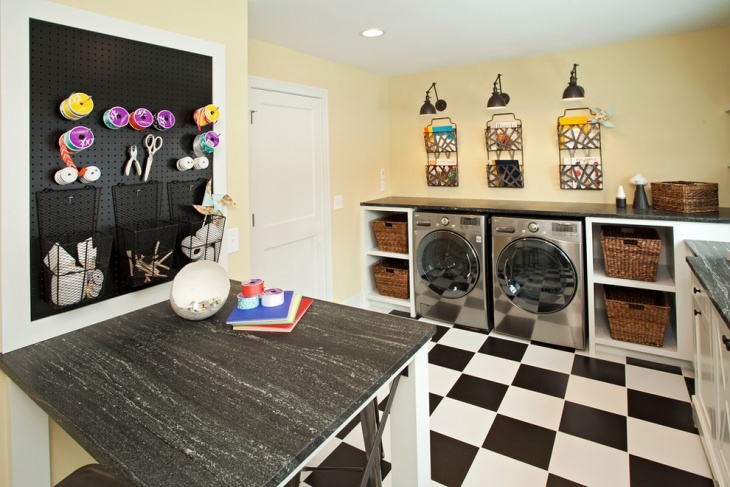 A modern laundry room also features new accessories that make the washing and cleaning task easier. 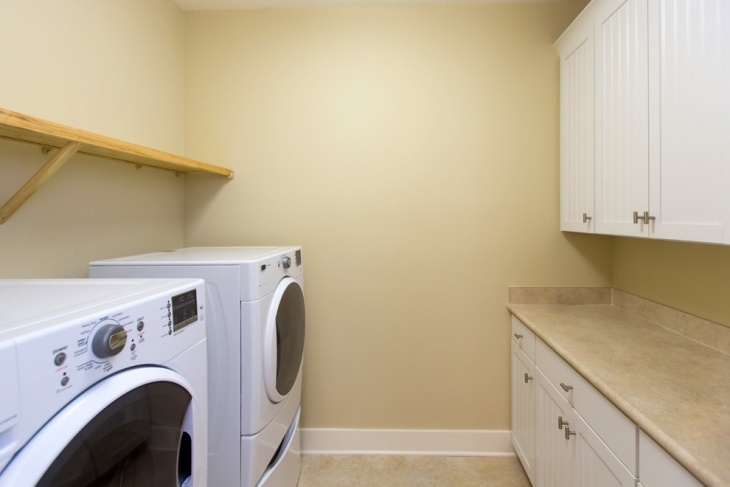 Laundry rooms in an apartment have to be compact and cozy. They can be kept next to the bathrooms with minimalist design. 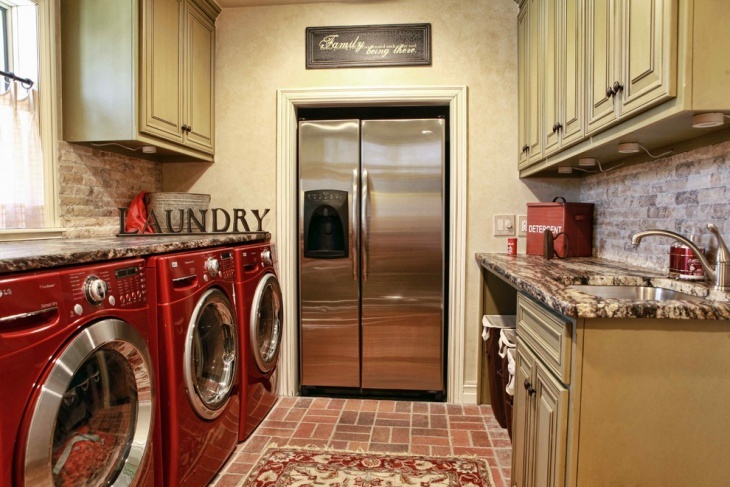 The machines and closets have to be kept in order for a well-organized laundry room. 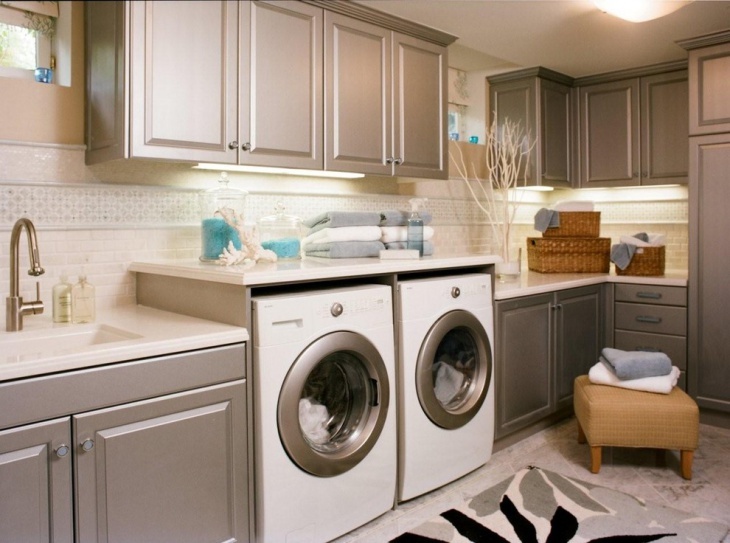 Inside apartments the laundry space can be small and confined, arranging things in the right manner is crucial. 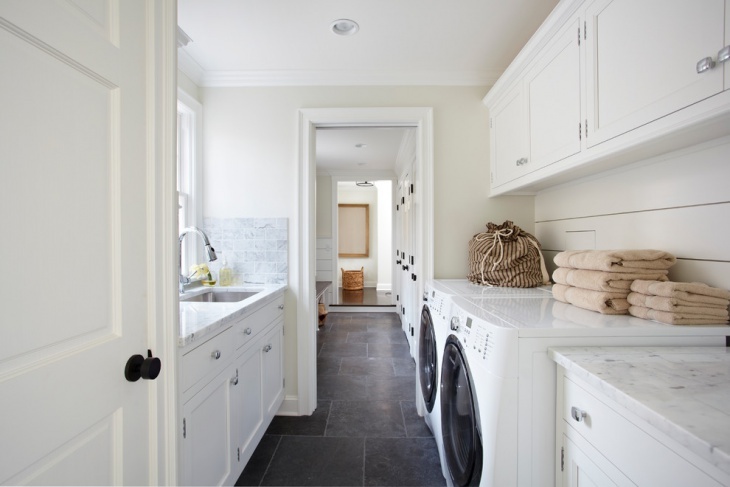 An all white laundry room design can be beautiful and to make it functional, there are several ideas one of them is there can be closet laundry so that the mess is hidden and there is a clean white laundry space. 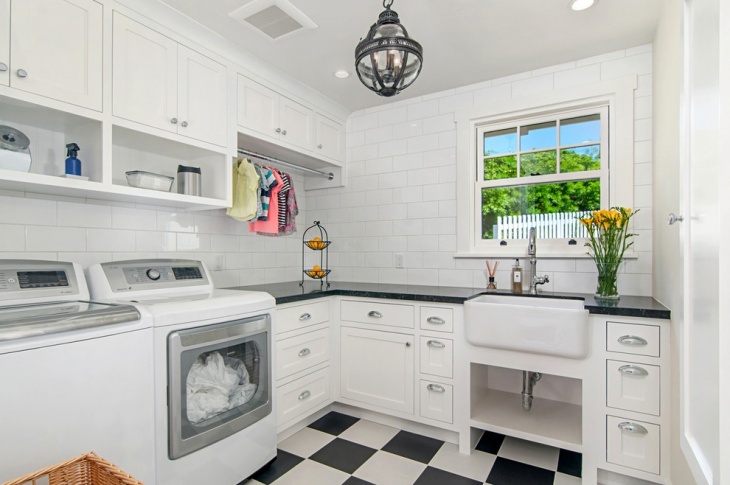 A beautiful white laundry room should have sleek, flat panel white cabinets, with white washing machines, mats, floor and even wall paint. 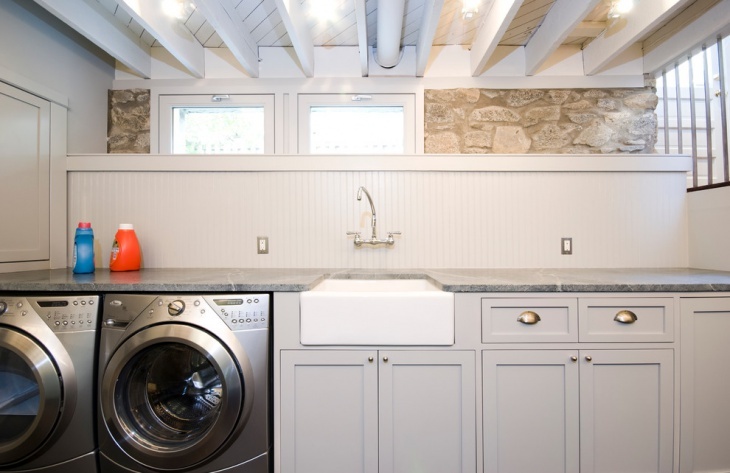 A country laundry room design has to be sober and subtle having a color scheme of blue, green or white. 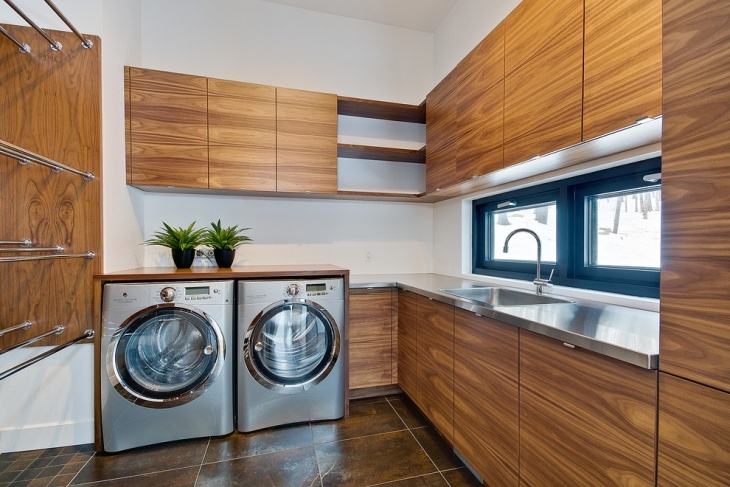 It can be located outdoors where you can straight away put in all the wet clothes straight from the beach without further allowing dirt inside your house. 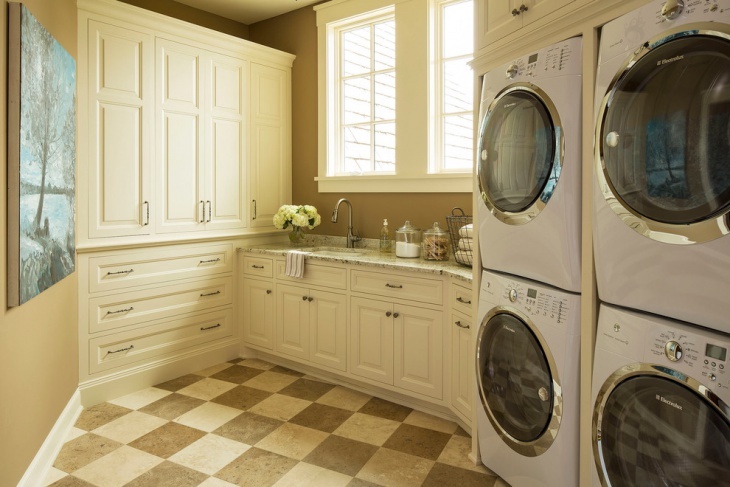 The flooring in laundry rooms ranges from hardwood to medium tone and even light wood. 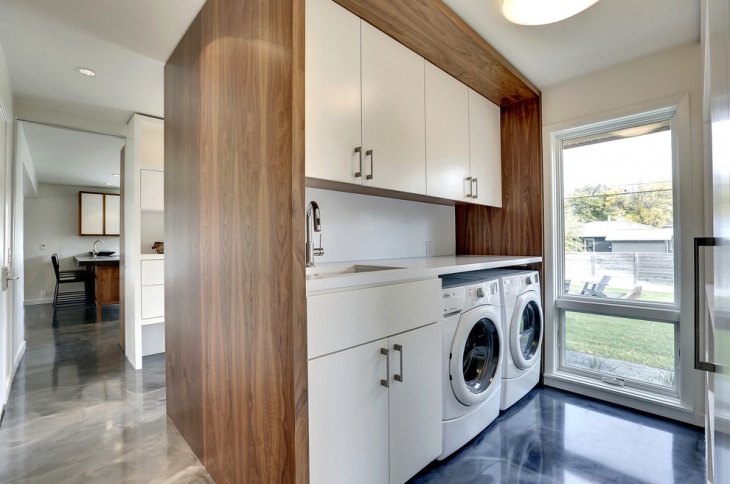 It can also be plain cement flooring without much adornment. 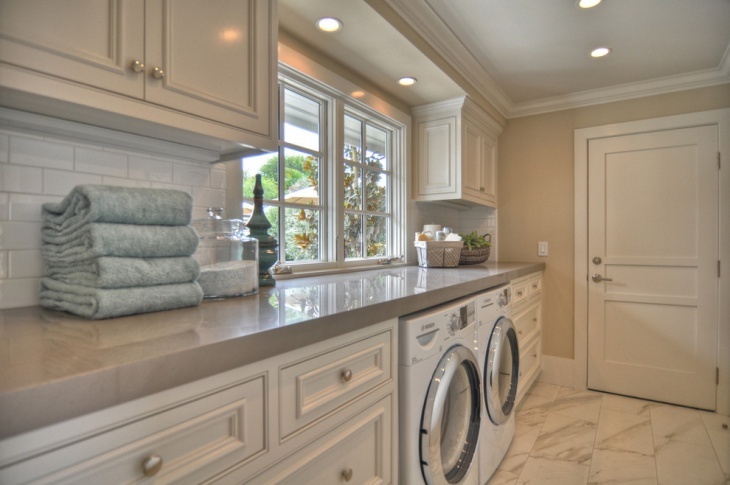 Some choose to put granite or marble stone for a better appeal. 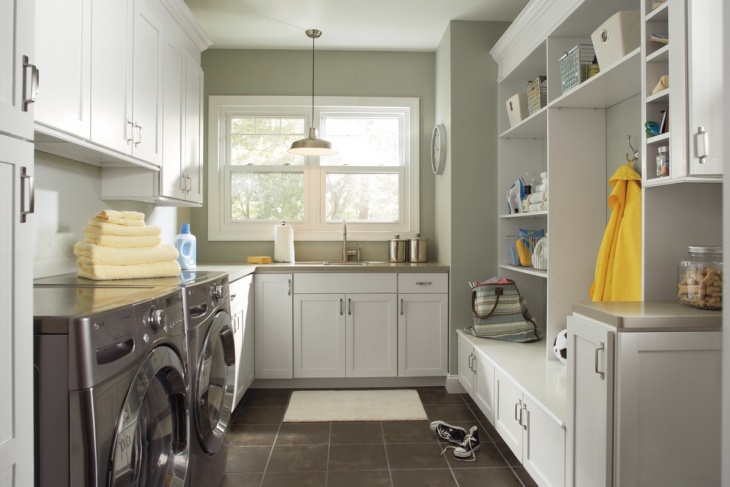 In a transitional laundry room, the design element can be interesting. 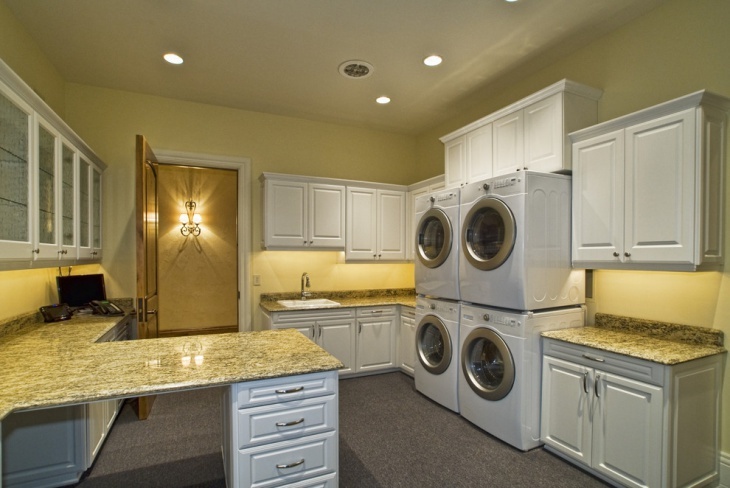 It usually has an open concept laundry with the presence of good lights, chandeliers, ceiling definition and so on. 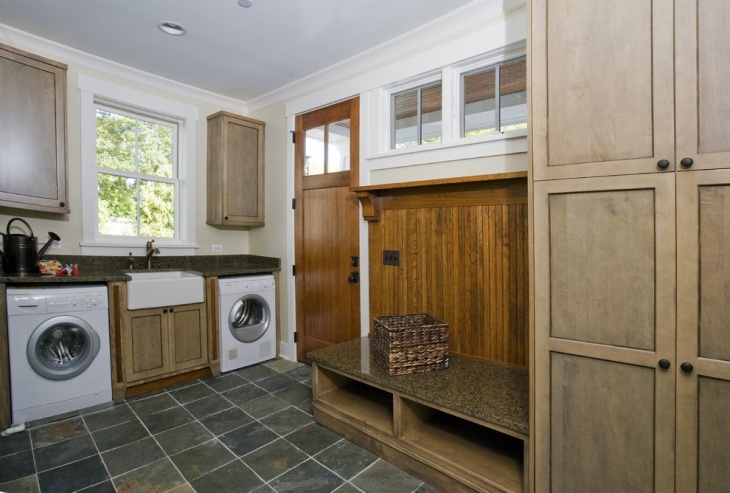 A cottage laundry room design generally has wooden floors as cottages are perfect with wood. 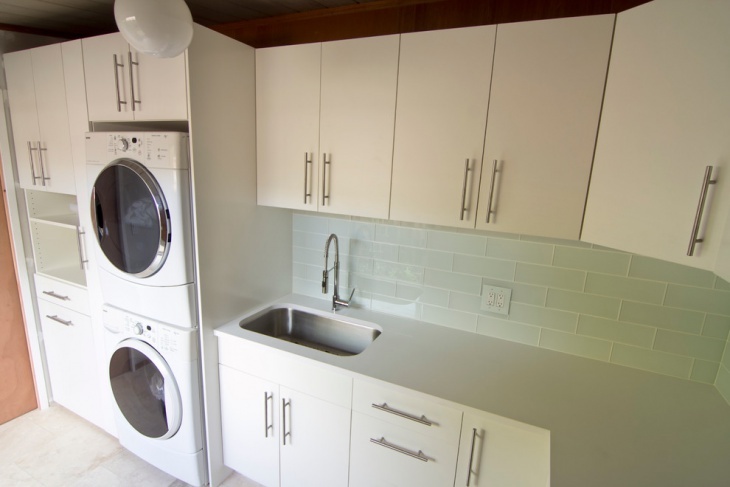 It can consist of wooden wardrobes and functional design elements to keep the cottage laundry convenient and cozy. 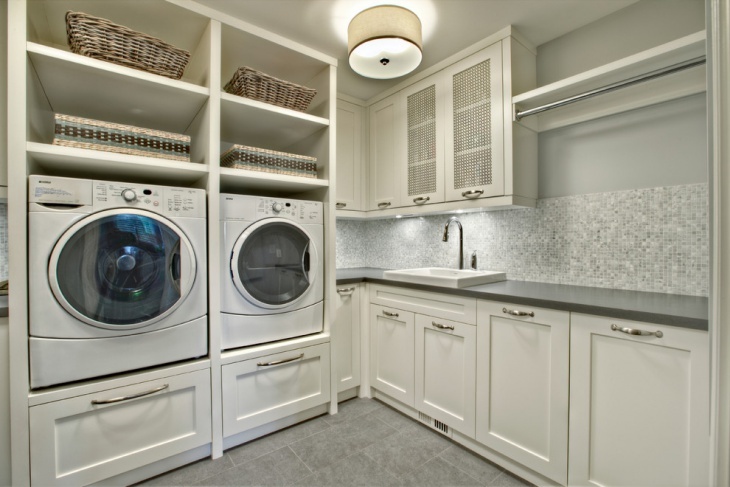 Why is a Laundry Room Important? 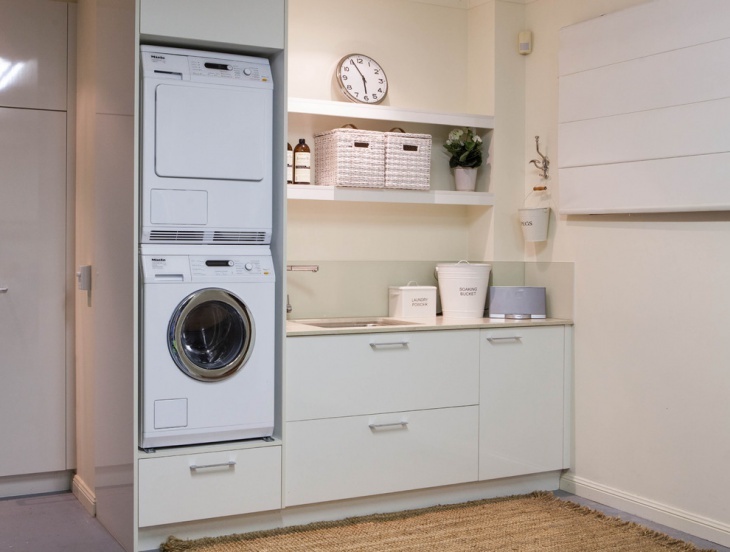 A pile of clothes that are unwashed are a nightmare for many and having an outlet or in clear words a utility space to store them is very important. 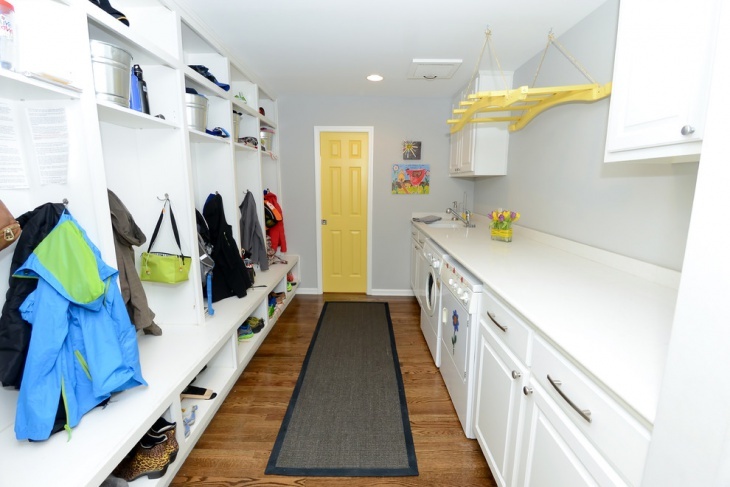 It saves your house from an unwanted mess and you can neatly organize all of your clothes in the laundry room and directly wash them off! 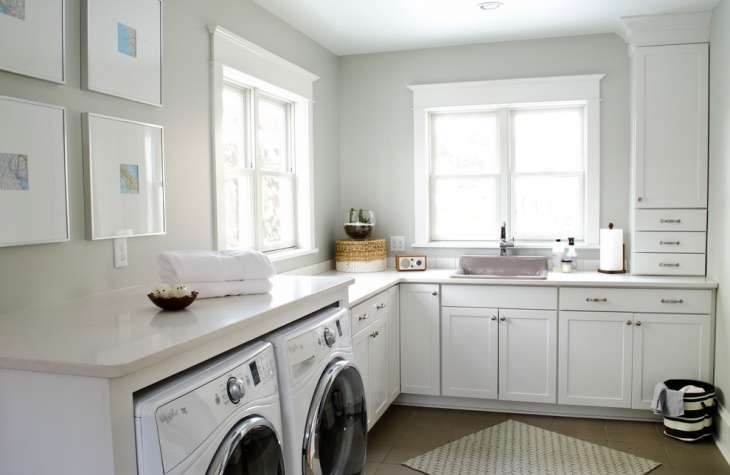 Some tips for decoration include keeping good lights, keeping it airy which will make the room look more spacious, having good ceiling design, wardrobes that suit the décor of your laundry can go a long way in making your room look pretty. 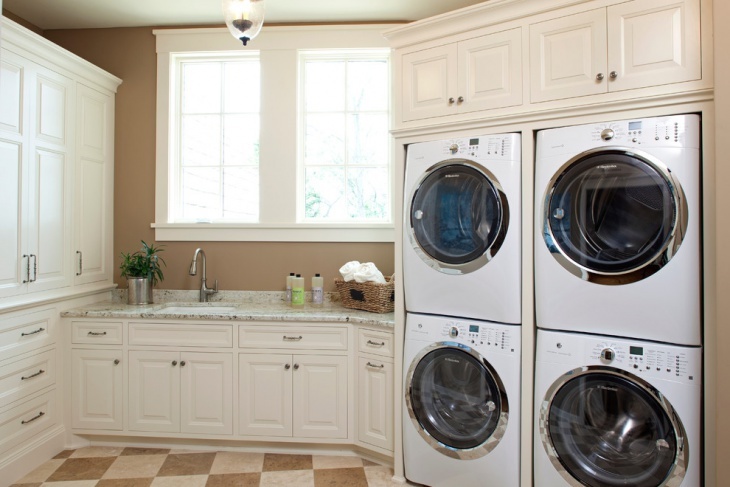 Keep your laundry space well organized so that the cleaning and washing clothes process becomes fuss-free for you. 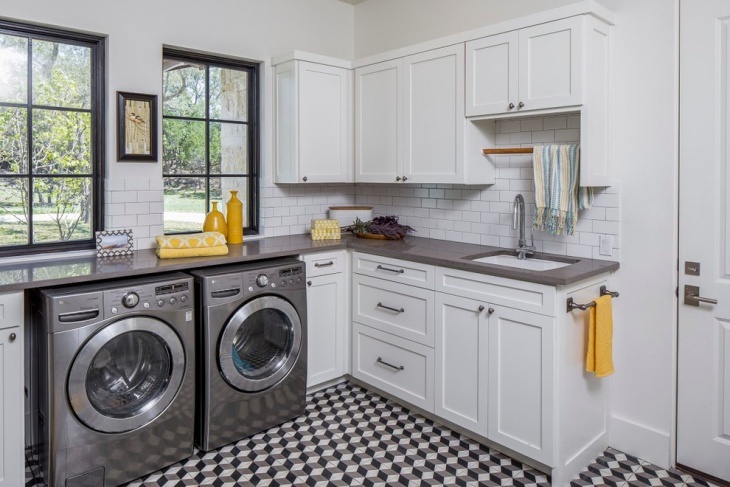 You can draw inspiration from the above laundry room designs for different types of houses and incorporate one that matches your requirement.